Space is one of the most, if not the most, sought after commodity, if one can use the term thus, in today’s world. In fact, seeking personal space or creating a space for oneself are phrases we often grapple with, in our day to day existence! But metaphorical analogies apart, real time space constraint is an area of perennial concern in modern day urban establishments. Sprawling lavish surroundings seem right out of fiction in these days of cubicle apartments and cardboard box condos. Yet we all strive to seek out a place to call our own. Be it a tiny apartment or a spacious house, designing it to our needs and liking is a constant endeavour. While bedrooms or studies bear our characteristic personal touch, one common area which is often overlooked is the kitchen. Breaking apart from traditional kitchen set-ups, which were spacious entities by themselves, modern kitchens tend to be merely functional, to say the least. Here the open kitchen concept plays a vital role. Open kitchens are basically extensions of the living area without being a separate room by themselves. 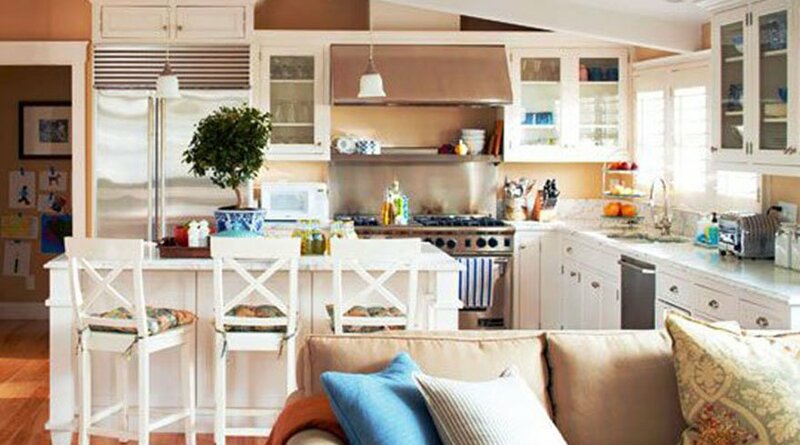 The underlying idea is to incorporate the kitchen set-up into the hall or living area so that an extra room can be done away with. But there is certainly more merit to the idea than just saving space. In a family, the lady of the house generally devotes more time in the kitchen. So, while the rest of the members might be spending some laid back moments she has in slog it out while preparing a meal. The open kitchen is a welcome breakaway from this routine. Because of being a part of the living room, it does not seem removed from all the family fun. One can happily do all the chopping and steaming without missing out on family time. Open kitchen also brings in a sense of involvement in house. Getting the house members to chip in with the kitchen chores becomes a tad easy as they need not miss their favourite show on the living area telly! Children, especially, happily take part in preparations as it seems such a fun thing to do! Open kitchens require a little more maintenance than traditional ones as they are required to be visually appealing. That means no clutter and no unwashed dishes lying around! 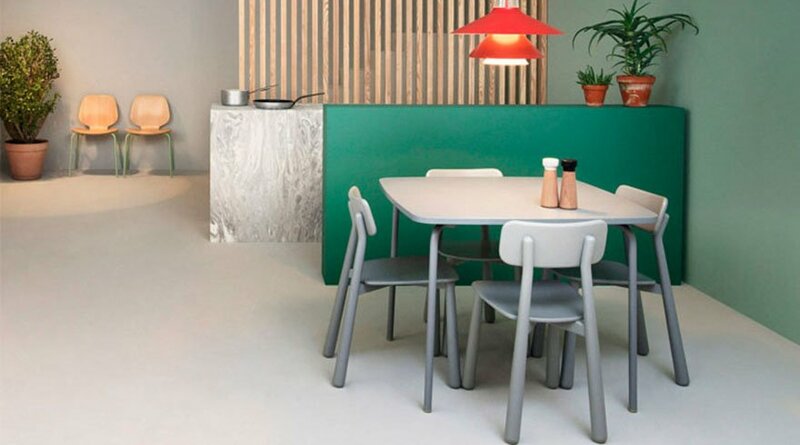 Design your cooking area in a manner that draws eyeballs! Storage is an important area that needs attention. Store away those kitchen essentials away from direct view. This lends a warm and inviting look to the whole thing. 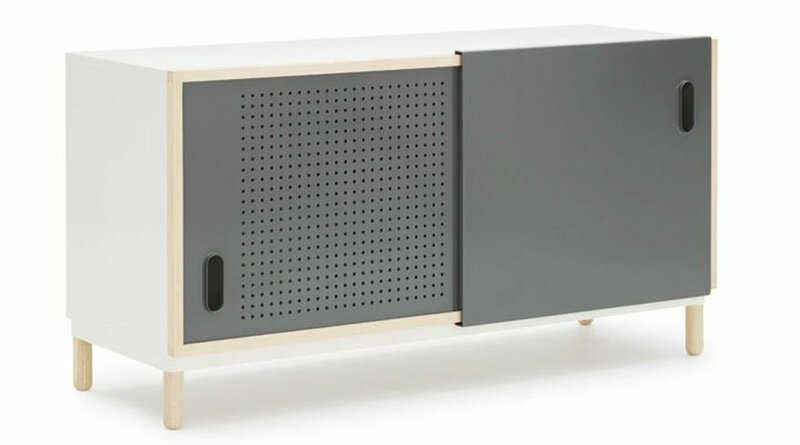 Fabiia’s range of Normann Copenhagen Kabino Sideboard can be a welcome addition to your kitchen or dining space. 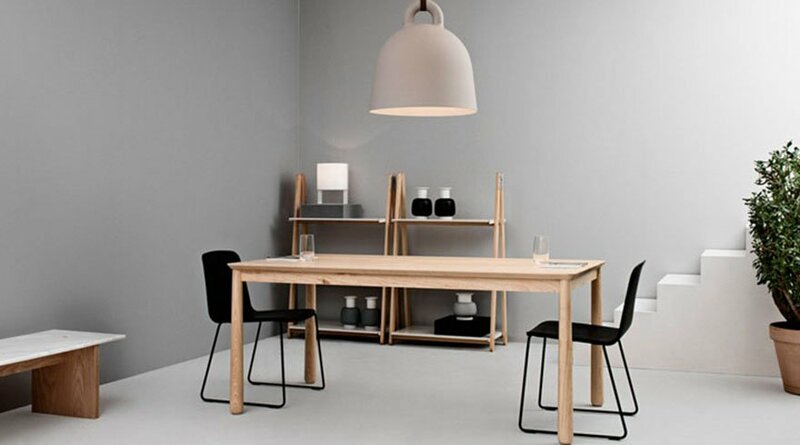 Check out our dining tables and chairs range namely, My Table and Bop Table also from this brand. Home is a labour of love. Ensure that your kitchen diner area reflects that all pervasive feeling of bonhomie and warmth! This entry was posted in Fabiia Ideas, Furniture and tagged sideboard, Table and chairs.